I created this blog because I wanted to write about meditation and how it affects our lives on different levels. I wanted to write about something that would impact people’s lives meaningfully. Lucid dreaming – we spend around one-third of our lives sleeping, so why not take advantage of this time? And instead of being mere spectators in our dreams, we can become the actors and do whatever we want in them. Who wouldn’t like to wake up in a dream and fly above the mountains or fight with the dragons? If you want to learn more about lucid dreaming, then click here and here. Sleeping – sleep is very important for our bodies, and if we want to function on the highest level, we need to know how to get a good night’s sleep. Healthy sleep is as essential as a good diet, exercise, and stress management for health. Many people fail to make an effort to get healthy sleep, believing that sleep is expendable. ​Getting healthy sleep is essential. So, if you need help on how you can fall asleep faster, stay asleep more reliably, and feel refreshed when you wake up, then this is for you. Click here to learn what you can do to fall asleep easier. Dealing with stress – stress is so prevalent in our lives that we need to know how to cope with it effectively. Long-lasting stress can do a lot of damages to our bodies so it’s essential to learn what you can do about it to relieve it. Click here to read how you can reduce stress and anxiety. Personal development – if you want to understand yourself on a deeper level, achieve your maximum potential, and live a happy life, then you should invest your time in personal development. Personal development is vital to your success in life as creating a business plan is to the success of a company. Therefore, developing yourself through personal growth is the most significant thing you can do for yourself. Click here to read about the tool that can unlock your full potential of who you are now. 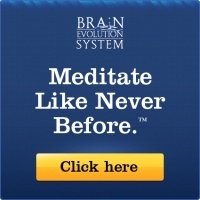 Brainwave entrainment – when I bought the Brain Evolution System and started listening to it, I felt that it worked for me. Since that time, I’ve tried different brainwave entrainment music and binaural beats, and recommend some of them here on this blog. Click here to read more about binaural beats and brainwave entrainment. Meditation - It’s been proven many times how beneficial this practice is both for our physical and mental health. Thousands of people all around the world practice meditation every day to reap the health benefits of this practice. So, if you want to find out about different ways to meditate in your spare time, then this is for you. I want to state that I am not an expert on these subjects. I am just interested in these topics; I like reading about them to broaden my knowledge, and publish articles related to lucid dreaming, dealing with stress, meditation, brainwave entrainment, sleeping and more, which gives me a lot of satisfaction. I am not a health care specialist, so whatever advice you read on this blog related to improving your health, such as taking supplements, you should first consult with your doctor before you decide to implement it. Anyways, I hope the information you find on this blog will be helpful to you, and you will be coming back for more.